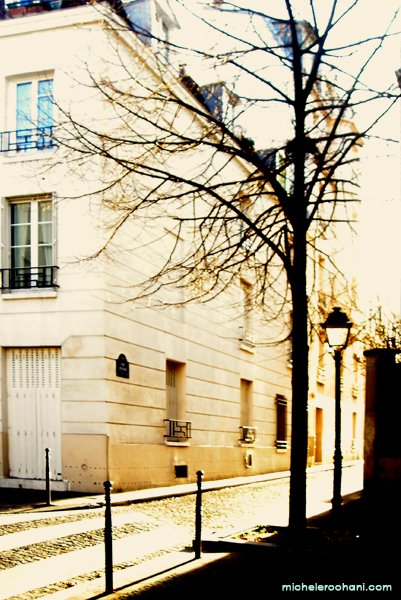 This entry was posted in life, my take, politics and tagged kenya, obama, paris by Michele. Bookmark the permalink. Time and again divide and conquer has been a favorite colonial strategy. Oppressing a majority with the active support of a minority. Kenyans thought they could create change throught their votes. The Kenyan government proved they were wrong. Barack gives hope that in America it may be possible to go beyond the primitive tribalism that is part of our heritage. Being a country with only minorities has some advantages. 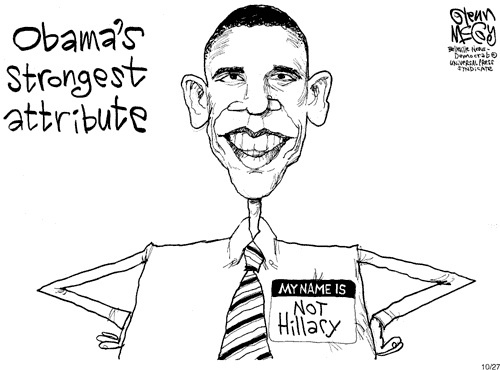 In some ways, I think Barack has proven himself more than Hillary. He made it on his own without being part of a political dynasty. He was a grass-roots organizer in Chicago. He has created his own momentum, and didn’t start out with big name recognition. And last but not least, he voted against the war in Iraq. Africa exasperates me. My exasperation goes as far as a week trip to Mali, leaving the 9th of March 2008 — research trip with 8 students from my school looking into the profile of the type of student we will be offering scholarships to for the school that we have just built in Bamako, the capital. then another trip leaving June 8th 2008 to the same place with 27 students who will teach English in the mornings, paint classrooms in the afternoons and visit/work with orphans in the evenings. Then a 15 day trip to a township ( = South African ghetto) in north Cape Province in SA, with two of my students to join a group of Australian and South African students in teaching children English — in my case — Science and Maths in a township school to kids who walk anywhere between 7 and 17 kilometers each way to school. That trip leaves o the 27 of June 2008. Then there will be yet another trip to Mali — Timbuktoo, and other places leaving in the third week of October 2008. Africa exasperates me. That’s why I go. See — now out of print, but Amazon has second hand copies in its site — “The Courage of Children”, by Peter Dalglish and “Half of a Yellow Sun”, by Chimamanda Ngozi Adichie (Nigerian). Two brilliant books in their very separate ways. (New York, January 4, 2008) – An independent investigation of the presidential elections is needed to avert further violence in Kenya, Human Rights Watch said today. Human Rights Watch urged the government to end unnecessary restrictions on the media and peaceful assembly. Kenyan and international election monitors have found widespread evidence of vote-counting irregularities in the December 27 presidential poll in which incumbent President Mwai Kibaki was deemed the winner. Human Rights Watch called upon Kibaki and opposition leader Raila Odinga to endorse – and international governments to support – a transparent, independent review with international participation of the tallying process, accompanied by a clear timeframe to complete the review. Human Rights Watch expressed concern about the violence ensuing after the election and the government’s heavy-handed response. Post-election violence has wracked areas of Nairobi, Mombasa, Eldoret in the Rift Valley, and Kisumu in Nyanza, among other areas. Media reports have cited up to 350 deaths. 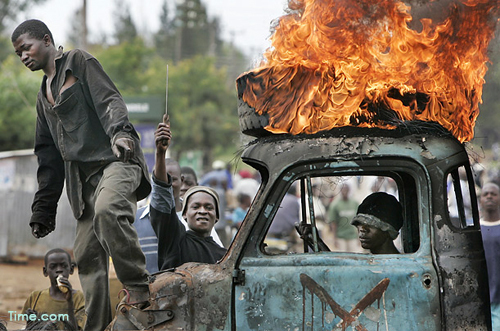 Vigilante groups have targeted and attacked Kikuyu, the ethnic group of President Kibaki. There have been horrific incidents, including the burning of a church in western Kenya containing dozens of Kikuyu, including women and children who had sought refuge there. Opposition supporters have also been victims of the crackdown by the security forces. Opposition protests, which have included violence and looting, have been met with excessive use of force by the police and military. The United Nations now officially estimates that the number of Kenyans internally displaced by post-election violence is 180,000. Kenyan authorities should ensure that all displaced persons and others in need are able to access humanitarian assistance. Human Rights Watch also said that an independent and impartial investigation into the post-election violence was needed so that all those responsible are held accountable. The government has banned live political broadcasting and protest rallies. Human Rights Watch urged the Kenyan authorities to immediately lift unnecessary restrictions on press freedom and peaceful assembly. Kenyans voted peacefully and in record numbers in parliamentary and presidential elections on December 27. In the parliamentary elections, 99 of the 210 seats were won by the opposition Orange Democratic Movement (ODM). Vice-President Moody Awori, and 14 of President Kibaki’s top ministers lost their seats. The presidential vote count appeared to be following the same pattern with ODM leader Raila Odinga leading the count. However, in an abrupt turnaround, the Electoral Commission of Kenya (ECK) announced that Kibaki was in the lead. The ODM and international election observers raised concerns about poll numbers, which the government ignored. As protests mounted, the electricity was turned off in the ECK election headquarters and ECK commissioners were escorted by police from the building. Immediately afterwards, ECK Chair Samuel Kivuitu declared Kibaki the presidential winner with around 230,000 more votes than Odinga. The government then broadcast on television a clip showing Kibaki being sworn in at State House close to midnight in a hurried private ceremony. The ECK chair was subsequently quoted in the media saying that he did “not know whether Mr. Kibaki won the elections.” He said he was “under pressure” to announce a result quickly despite appeals by election monitors to delay until apparent irregularities were investigated. Four of his ECK colleagues also said they were “uneasy” with the presidential outcome and admitted to “weighty” concerns about the process. The European Union Electoral Mission expressed grave doubts about the legitimacy of the presidential results. Immediately following the election, it stated “the tallying process lacks credibility and … the Electoral Commission of Kenya (ECK) has not fulfilled its responsibilities to create such a process.” The EU mission reported “some irregularities that cast a doubt on the accuracy of the final results that were announced.” The European observers cited Molo constituency, where 25,000 votes were fraudulently added to the tally sheet in favor of Kibaki. Others have also reported fraud, including an elections officer who admitted that election sheet returns have been doctored to favor Kibaki. Other contentious issues include abnormal voter turnouts in the strongholds of both Kibaki and Odinga, and the lack of access to EU observers in some tallying centers, especially in central Kenya, Kibaki’s stronghold. The Kibaki government has so far dismissed calls for an investigation, telling the ODM to lodge any complaints with the courts. However, the Kenyan judiciary is widely perceived as not being independent. The current chief justice was present at the recent swearing-in ceremony of Kibaki. Earlier in his term, Kibaki removed a number of senior judges – including the then-chief justice – and replaced them with individuals viewed as less independent. (New York, January 30, 2008) – African leaders attending the African Union summit in Addis Ababa on February 1-2, 2008 should call for an independent inquiry into post-election violence and election fraud in Kenya, Human Rights Watch said in a letter to the African Union Commission’s chairman, Alpha Oumar Konaré. “African leaders should tell both Kibaki and the opposition that a full, transparent investigation is urgently needed to end this crisis,” said Gagnon. As soon as I heard Carolyn Elkin’s commentary on BBC, I sent her an e-mail and immediately ordered her book. Her clarity totally blew me away my dear. May be your buddy Sarkozy could order her book too. J’ai vu hier soir sur Arte un film “Shooting dogs” dont le thème est le génocide des tutsis par les hutus au Rwanda. Le film, difficile à supporter, raconte l’histoire de réfugiés tutsis dans une école technique rwandaise qui est le cantonnement d’un petit contingent de soldats de l’ONU. Quand ceux-ci s’en vont, les milices hutus, qui attendaient leur heure devant les grilles de l’école, entrent et massacrent tout le monde, hommes, femmes, enfants, vielllards…Prévoyant ce massacre, un réfugié tutsi demande aux soldats de tirer au moins sur les enfants de ces réfugiés parce que mourir par balles est plus rapide qu’être tué à coups de machettes ou de gourdins…Evidemment, l’impuissance voire l’absurdité de la machine onusienne est dénoncée. Mais au-delà, comment peut-on être aussi cruel et violent? Comment peut-on massacrer dans des conditions ignobles du jour au lendemain son voisin à coups de machette?